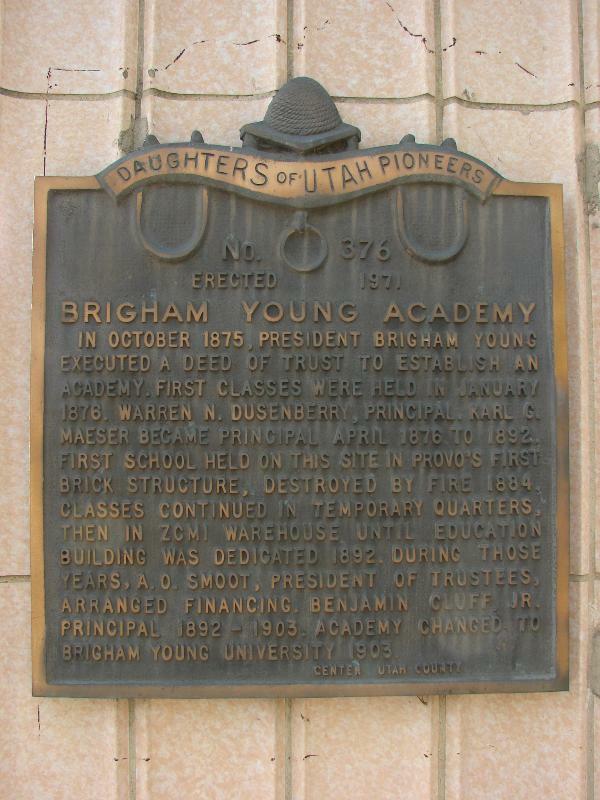 In October 1875, President Brigham Young executed a deed of trust to establish an academy. First classes were held in January 1876, Warren N. Dusenberry, Principal. Karl G. Maeser became Principal April 1876 to 1892. First school held on this site in Provo’s first brick structure, destroyed by fire 1884. Classes continued in temporary quarters, then in ZCMI warehouse until education building was dedicated 1892. During those years, A.O. 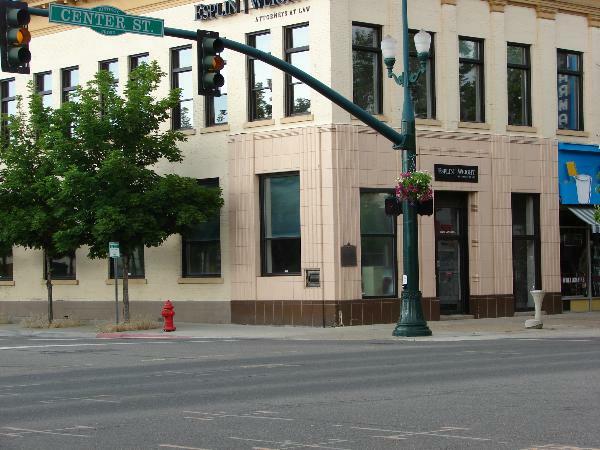 Smoot, President of Trustees, arranged financing. Benjamin Cluff, Jr., Principal 1892-1903. Academy changed to Brigham Young University 1903.